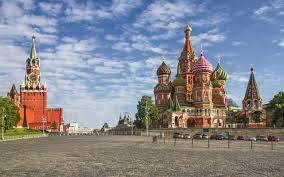 Sydney Translations is here to provide exceptional Russian to English and English to Russian translation services. We work with a network of expert Russian linguists and therefore can produce the highest quality of Russian translation services with a fast turnaround and at an affordable rate. We offer specialised Russian translation solutions for both business and individuals in several fields. Sydney Translations translates a lot of documents from English to Russian and Russian to English. Often, we receive documents for translation such as Russian birth certificates, driver’s licences, marriage certificates, diploma certificates, academic transcripts, death certificates and other personal documents. We also translate technical documents, business documents, medical documents and legal documents. We guarantee that our certified translations are accepted by immigration authorities, lawyers, government bodies, etc. If you need to submit a NAATI certified translated Russian material to a legal body or an official government, it is essential that you find a Russian translation services provider that can certify your documents. With our NAATI certified Russian translators and with over seven years’ experience in the translation industry, Sydney Translations is capable of providing high-quality NAATI translations. Get excellent and error-free Russian translation services with Sydney Translations. Our reputation for delivering quality translations on time and at an affordable rate allows for no exceptions. We guarantee that your Russian translation project will be exclusively taken care of by an expert Russian translator, be it from English to Russian or Russian to the English language. In addition, we only handpick Russian translators who have a relevant degree in the language and years of experience in the translation industry. We have these conditions to guarantee that the translators who handle your project have an in-depth knowledge of the nuances of both languages. Nothing less would make the grade. Upon receiving your document, we match a Russian translator who specialises in your content. Take, for example; a marriage certificate will be translated by someone who knows about the document. We understand how much time matters to you which is why we have project managers who are capable of making the translation process as efficient as possible. Typically, a single professional Russian translator can finish a 3-page translation in 2 to 3 working days. This should be kept in mind when planning for the delivery of your project. However, we offer our Express and Instant Russian translation services where your documents are finished within 24 hours. We know that your priority is the price. Which is why we offer instant quotes for free, you’ll know how much your document translation costs by simply completing the online form on this page and uploading a copy of your document. In less than 15 minutes, we will email you an exact quote at no cost to you. The Russian language is the most widespread language in Eurasia and is the 7th most widely spoken language around the world. The language is also used in 30 other countries aside from the Russian Federation. These include Bulgaria, Canada, Germany, Ukraine, Belarus and many more. Among the other official languages in the United Nations, Russian is among them. If you dream of becoming an astronaut then you better start learning Russian as it is the language being used inside the international space station. The alphabet uses Cyrillic script and is called as azbuka. A non-native speaker may have a hard time learning the Russian grammar because of its diversity and flexibility. From English to Russian translation solutions, your document can increase by as much as 15% because of the syntax and grammar of the Russian language.